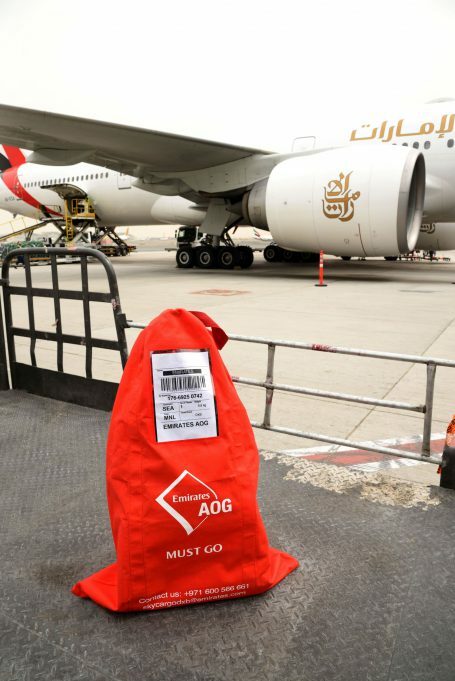 Emirates SkyCargo, the world’s largest international cargo airline, has launched Emirates AOG – a new airfreight product designed for transporting aircraft parts quickly across the globe. Emirates SkyCargo, the freight division of Emirates, offers customers cargo capacity on its modern, all wide-body fleet of over 260 aircraft including 14 freighters – 13 Boeing 777-Fs and one B747-400ERF. The air cargo carrier has developed a number of transportation solutions targeted at specific industry verticals. These include Emirates Pharma- for the secure transportation of temperature sensitive pharmaceuticals; Emirates Fresh- for transporting fresh produce such as fruits, vegetables, sea food and meat; and Emirates Wheels for moving luxury and premium automobiles.